Carolyn Reinach Wolf is an Executive Partner in the law firm of Abrams Fensterman and Director of the firm’s Mental Health Law practice. She specializes in guiding families through the complex landscape of legal issues that impact loved ones with serious mental illness and/or substance abuse. 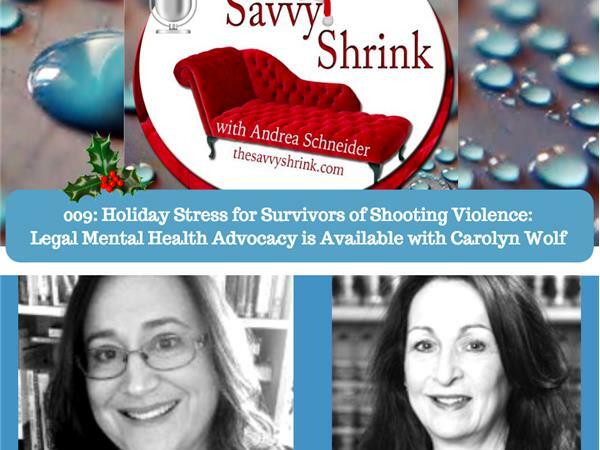 Ms. Wolf serves as a frequent source for media covering issues of mental illness, and was the subject of a 2013 The New York Times profile, “A Guide in the Darkness.” Acclaimed NYC-based mental health attorney Carolyn Wolf has published a Huffington Post article about holiday season support needed by shooting survivors and others in crisis, and how their families can best help. We thought you’d be interested in having Ms. Wolf join on air to discuss this important topic sometime during the holiday season.